Today’s small and mid-size businesses require communication solutions that give the mall of today’s technology at an affordable price — and an open door to tomorrow’s possibilities. Avaya IP Office is the answer: an all-in-one packaged solution that meets a variety of needs at a value price. Originally engineered for data traffic, Internet Protocol (IP) networks can also support real-time voice communications with a Quality of Service (QoS) that’s competitive with traditional voice-only telephony networks. IP-based communications are therefore attractive to all businesses for a number of reasons, not least of which are the economy and convenience of a single network for voice and data traffic. 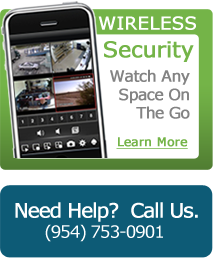 · Avaya IP Office is cost-effective. With the option to combine voice, data, and essential business applications on a single IP network, Avaya IP Office significantly lowers network fees associated with traditional multiple-network arrangements. · Avaya IP Office enables growth. Consider it your customers’ introduction to converged communications: today’s capabilities can be upgraded for more sophisticated capabilities and more users as needed in the future. Avaya IP Office is a simple, cost-effective solution that offers full IP benefits today and initiates the acquisition of technology and knowledge your customers will depend on as they grow. Even if they outgrow their Avaya IP Office, 6400-Series DCP telephones may be used on most Avaya platforms. 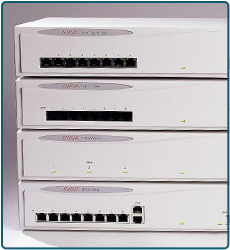 · Avaya IP Office is easy to own. One vendor, one package,one system administration tool, and one solution that’s compatible with Microsoft® desktops and traditional office telephony make Avaya IP Office even easier to deploy and learn. 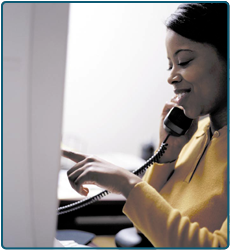 Avaya quality and training make your introduction to the world of converged communications hassle free. · Avaya IP Office leverages existing telecom investments. Compatible with traditional telephony, it’s also the only IP solution that provides a migration path to an IP-capable system for current Avaya small and mid-size business customers. 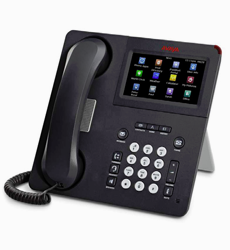 Current Avaya MERLIN MAGIX™ Integrated System customers with 4400-Series telephones may reuse most of their telephones with Avaya IP Office. JNC Communications is your trusted partner and is here to guide you though finding the right system for your needs. For more information and products available from Avaya, contact us today.